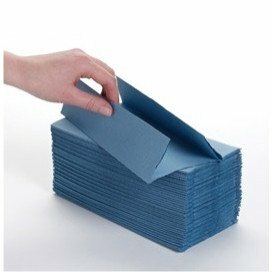 1ply hand towels in colour blue, a C-fold type, can be used with any appropriate type dispenser. Each case contains approximately 2520 individual hand towels. They are extremely hygienic as a result of their high absorbency of moisture and wetness, and also because of their disposable nature. This means they will not suffer the same hygiene problems as, for example, cloth roller towel systems. 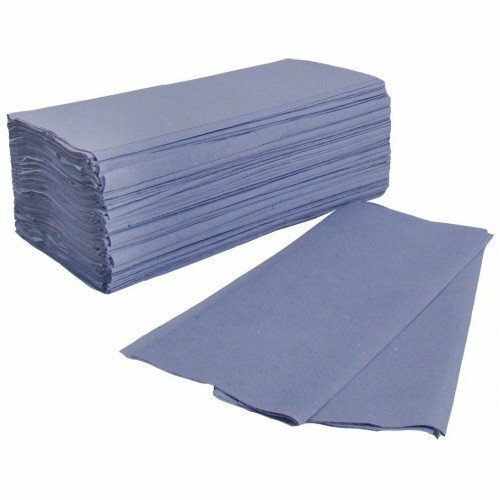 Paper towels are also frequently more effective at drying than moving air hand dryers, which of course are also susceptible to electrical power failure or mechanical problems. Ideal for all types of washroom environments including schools, kitchens and factories. 2520 sheets in a case. These hand towels fit dispenser BC528W.